Spectacular dwarf selection of an everblooming Australian species. It makes a perfect flowering groundcover in sunny conditions but it is also great in rockeries or in pots as a fill-up plant. It originates in a harsh mediterranean climate and it is very adaptable ... let's say from -5 to 45C! Spectacular dwarf selection of an everblooming Australian species. It makes a perfect flowering groundcover in sunny conditions but it is also great in rockeries or in pots as a fill-up plant. Graceful horizontal branches hold dainty leaves and clusters of pink and red flowers. Grevillea lanigera 'Compacta' originates in a harsh coastal climate at 39 º South and it is very adaptable ... the historical temperatures there mark a range of -1 to 42 C but this plant is even tougher and takes... let's say from -5 to 45C! 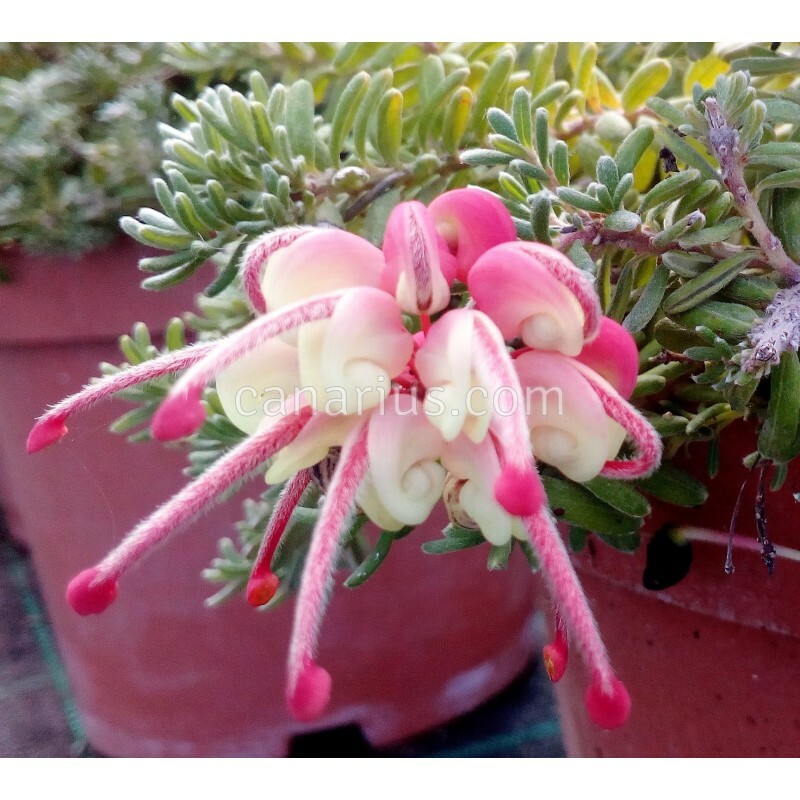 It spread in the trade with the name Grevillea lanigera 'Mount Tamboritha', but this name is not really meaningful, because this compact form is not actually found in that Australian Mount. 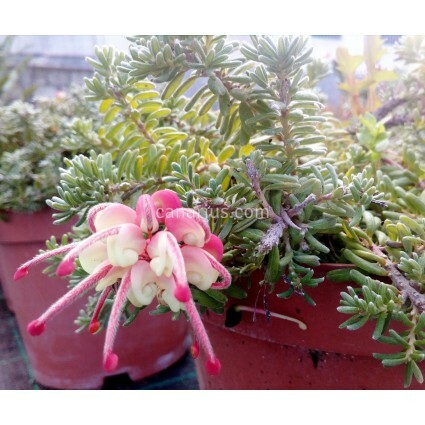 "The Grevillea Book" states that this cultivar is probably a coastal form that may have been selected from the Yanakie Isthmus by the Wilsons Promontory region in Victoria.